"Active" shows which of your tribemates are currently online, and what posts they are reading. Click on a tribemates face, and you'll be taken to the post they are reading. 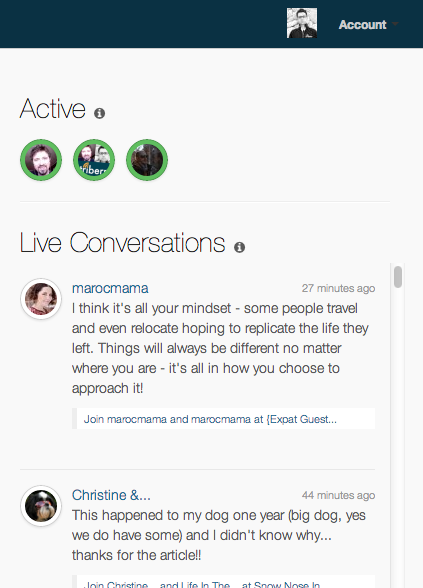 You can use the Live Conversations section to have a conversation with them about the post.